There's always one guy who comes back from a Euro trip with friends with some kind of bug they picked up, and in the NHLers case during the lockout, it's the injury bug. While some players might be living it up in their European cities like gods and contracting other bugs, NHL teams and their fans can't be happy hearing about their injuries. Injuries in hockey are common, but when they happen during the Lockout they seem like a bigger deal because the players are being injured while wearing another team's jersey with silly advertisements on it. Niklas Backstrom didn't even make it over to Europe after signing with Dinamo Minsk in the KHL as he re-aggravated an injury in Minnesota helping Zach Parise and Ryan Suter shovel their signing bonuses into a dump truck. 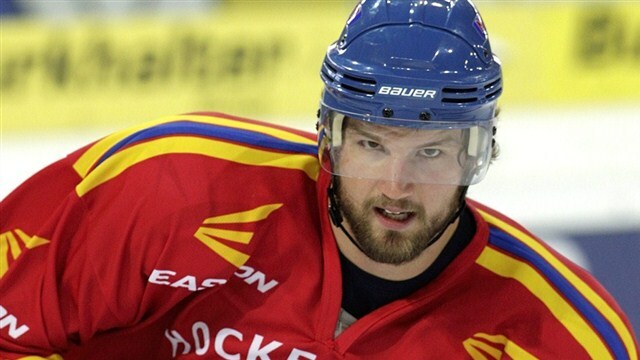 Rick Nash suffered a shoulder injury 3 games into his Swiss National League A campaign with HC Davos and missed 4 games before returning to the line-up. We're still waiting for word on whether the shoulder injury was an old one related to being thrown under the bus by Scott Howson after the NHL 2012 Trade Deadline, but it doesn't appear to have affected Nash as he's maintained his goal-a-game pace with 6 goals and 7 points in 6 games playing with Joe Thornton. Kris Russell only played in two games before slightly tearing his right MCL with TPS Turku in the SM-liiga and returning to North America for treatment. The news now is that the injury was misdiagnosed in Finland and the tear is very minor meaning Russell could be skating again soon and returning to Finland in a few weeks to play. Jiri Hudler suffered an abdominal/groin muscle injury while playing for Lev Praha in the KHL and was subsequently released by the team when they were told he could be out for a month. Hudler returned home to rehab the injury and regain his health in case the NHL Lockout ends shortly, but it looks like he could be in for a long rehab stint with no end to the Lockout in sight. Jakub Voracek also playing for Lev Praha suffered a severely sprained knee last weekend and looks to be out four weeks. 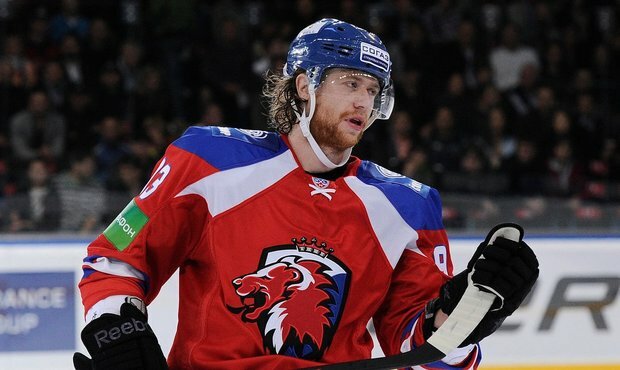 Voracek was playing well in the KHL scoring 1 goal and 7 points in 7 games before suffering the injury and although injured, has not been released by the team. Looks like Lev likes Jakub over Jiri. Sean Bergenheim suffered a lower body injury playing with HIFK Helsinki in the SM-liiga after two games and is heading home for treatment to avoid further damage. Bergenheim will be praying for the NHL Lockout to end as his generous contract from Dale Tallon of $2.75M a year awaits him. Tyler Ennis has missed 3 games since joining the SCL Tigers in Switzerland. Initially injured in his first game, Ennis came back after sitting out one game and then sat out the next two. Not sure what kind of injury it is or the severity, but the Tigers would like his goal scoring in the lineup as they sit 2nd last in the league. Vladimir Tarasenko playing for SKA St. Petersburg in the KHL may have the most serious injury of all as it was reported that he may have suffered a concussion midway through SKA's game with Avtomobilist. The injury has since been confirmed by the SKA head coach, and is a major blow as Tarasenko had been lighting it up with 6 goals and 5 assists in 6 games playing on a line with Ilya Kovalchuk. This lockout is a joke. The players can still play anywhere they want. They'll still make money. I hope Parise and Suter sign somewhere and need some surgery just to hurt Craig Leipold. Injuries will happen. I am waiting for a major one that threatens someones career.